It may be winter now in Southern California but I have plenty of summer photos that still need to be archived. This page features some photos taken by my fabulous photographer husband Stan Moniz on one of our many trips to Laguna Beach. There weren’t a lot of different papers used since this page is more about the embellishments. I used basic beige card stock and a floral patterned paper from the Paper Studio’s Affinity stack. The photos are matted on brown plaid paper from Recollections’ Regent Street stack, as well as some royal blue card stock that gives a pop of color and breaks up all the earth tones. The fairy tale theme comes from Scrap the Girls’ November challenge and is the reason I chose these particular photos since they are dreamy and princess-like. The theme also inspired the storybook title which was made with Jim Holtz Idea-ology Alpha Tiles. Metal crown charms and tiny keys by Bead Treasures add to the fairy tale feel. 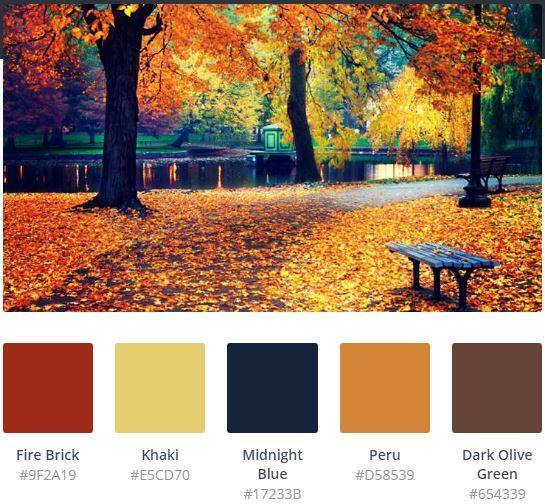 The color palette was inspired by Creative Embellishments’ November challenge. I love how this fall theme is so different from the usual colors associated with princesses. This page was super fun to create! 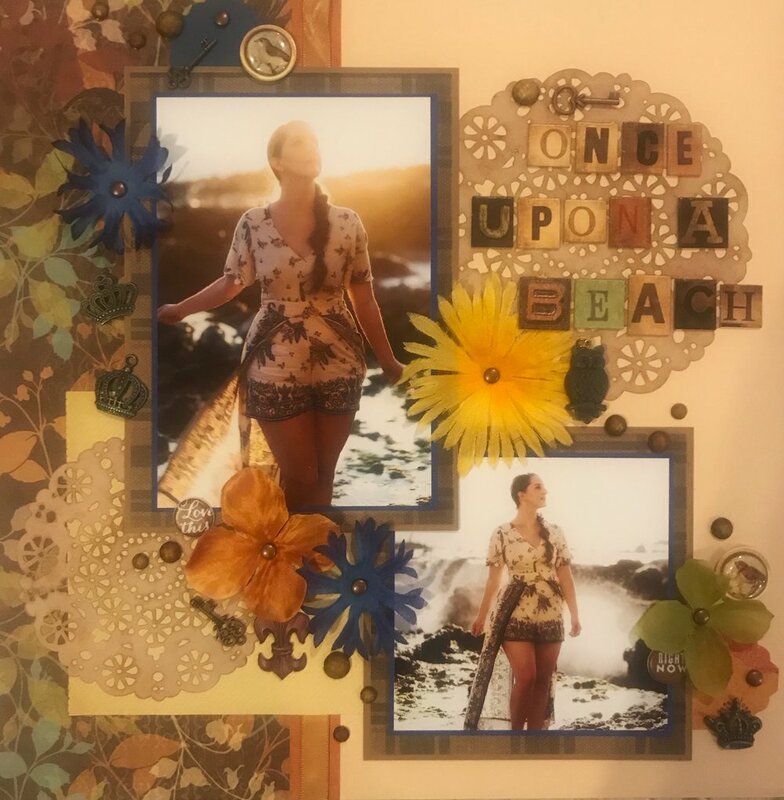 It’s a beach page without any of the normal beach embellishments, fairy tale inspired but using more masculine colors and prints, and really matches the warm sunset tones in the photos! Owl charms by Bead Design Co.